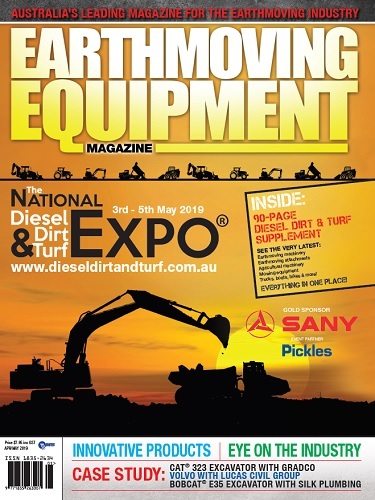 ASV Sales & Service – one of Australia’s premier construction equipment dealers – offers a diverse range of earthmoving equipment, which continues to expand in 2019. Dominant in the Compact Track Loader segment of the market for decades, ASV Sales & Service offers the premium ASV Posi-Track CTLs – from the 30hp RT-30, renowned for its ability to work in tight access spaces, to the powerful and heavy duty 120hp RT-120 and RT-120 Forestry models. This range of equipment is known for its exceptionality and flexibility, with a variety of attachments available to cater for a wide range of tasks and projects. 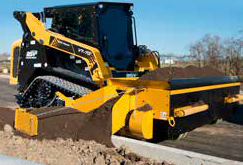 The ASV Posi-Track range has many best-in-class qualities in the traditional skid steer and CTL market. Posi-Tracks have a fully suspended patented undercarriage, exceptional ground clearance, low ground pressure, high power and speed, and superior operator comfort and versatility compared to alternative skid steers and CTLs. In today’s challenging economic climate, the financial advantage this delivers is to give owners and operators the ability to work in inclement weather conditions, steeper gradients and terrain conditions that other skid steers and CTLs could not – meaning more productivity and less downtime. To complement the Posi-Track CTLs, ASV Sales & Service also offers a range of mini excavators from a compact and tight access 1 tonne, up to a robust and versatile 9 tonne. The line-up is engineered and manufactured in Italy to European standards under the prestigious Eurocomach brand. These premium mini excavators are competitively priced and offer zero tailswing, high power, excellent lifting capacity, and extensive reach. In addition, their exceptional hydraulic performance and breakout force are features that make Eurocomach the number-one-selling mini excavator in Italy. With emphasis on environmental considerations, an increasingly important focus of the ASV Sales & Service business model is to service Australia’s forestry and vegetation management industries. 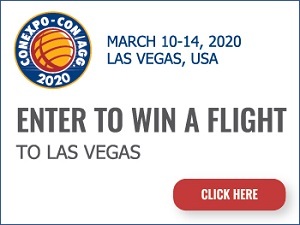 This resulted in the formation of Fecon Australia, the exclusive national distributor for Fecon; the USA’s premier vegetation and forestry equipment product. Designed and manufactured in Ohio, Fecon forestry equipment and attachments are built to the highest standards and are more than capable in dealing with our harsh Australian conditions. 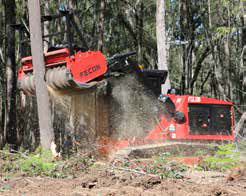 Fecon Australia offers a wide range of forestry attachments, including mulchers, tree shears and stump grinders for skid steers, track loaders and excavators. Fecon attachments perfectly complement the ASV Posi-Track loaders and Eurocomach mini excavators. In 2018, ASV Sales & Service also became the exclusive national dealer for the innovative and unique Road Widener. Designed and built in the USA, this remarkable machine has been designed to make road widening, shouldering, patching and kerb backfilling remarkably faster, easier and more efficient than alternative attachments. In addition, ASV Sales & Service has recently launched its Hunter JCB division to the Newcastle, Central Coast and Hunter Valley region. Offering premium JCB construction equipment including backhoes, telehandlers, excavators, wheel loaders and much more, Hunter JCB services a diverse range of the local area’s construction, earthmoving, agriculture and mining sectors. The success of the ASV Sales & Service business model is dependent on delivering exceptional after-market service. In the competitive environment of construction machinery, ASV Sales & Service understand that unless they can support their loyal customer base with dedicated, reliable service, they will lose the advantages of selling a highly versatile, price competitive range of machines and attachments. ASV Sales & Service take pride in their high calibre of customer support. With a Dealer and Sub-Dealer network around Australia, they have an extensive capability to support any customer, in any location. 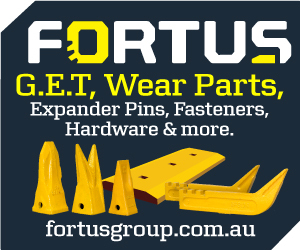 Their Spare Parts Department has a 96 per cent off-the-shelf fill rate, with a courier service that often provides overnight delivery if any Dealer does not have a part in stock, minimising your downtime. ASV Sales & Service’s factory trained Service technicians, equipped with state-of-the-art factory tooling, ensure that in the unfortunate event of your machine breaking down, they will have you up and running in the shortest time possible, and they also have direct access to the machinery and attachment manufacturers, should their assistance be required. 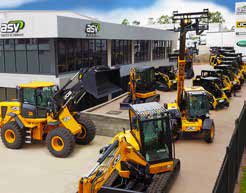 To assist many customers nationwide, ASV Sales & Service also offers a Rental fleet of ASV, Eurocomach, JCB and Fecon equipment available for use throughout Australia. In summary, the ASV Sales & Service team have every customer requirement covered, supporting all construction and earthmoving equipment sales with first-class Parts, Service and Rentals. Contact ASV Sales & Service to find out more on 1300 837 391 or visit www.asvaus.com. 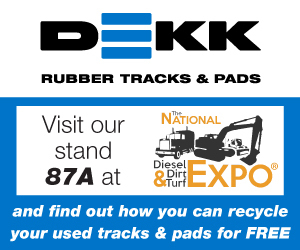 ASV Sales & Service will be exhibiting at Diesel Dirt & Turf again in 2019 – visit Stand 85 to meet the team and take a seat in their leading range of machines.